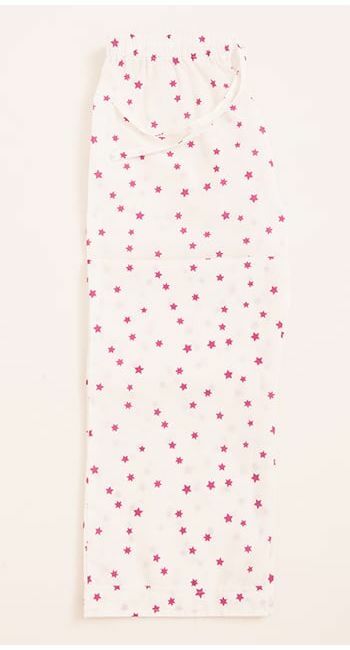 Girl's cream cotton pyjamas with a fun pink star print. 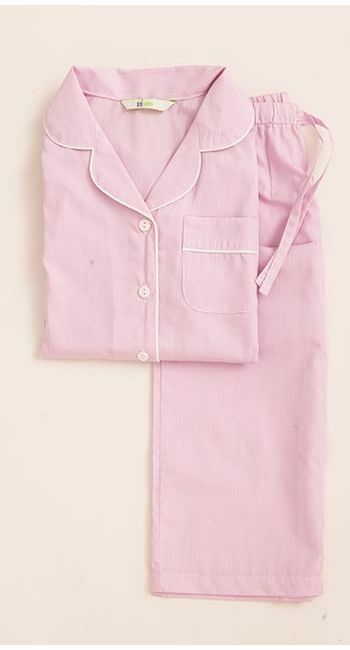 Summery lightweight cotton. 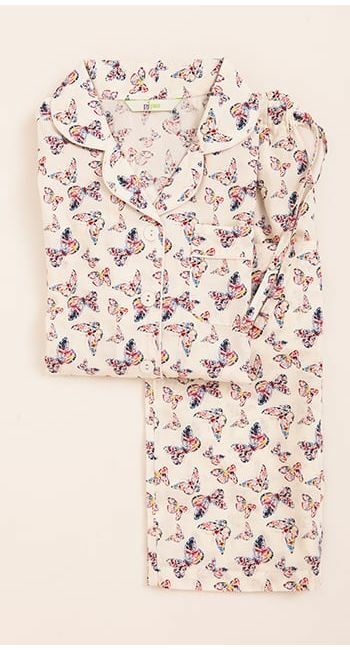 Same fabric is available as a pyjama set for 2-10 year olds. 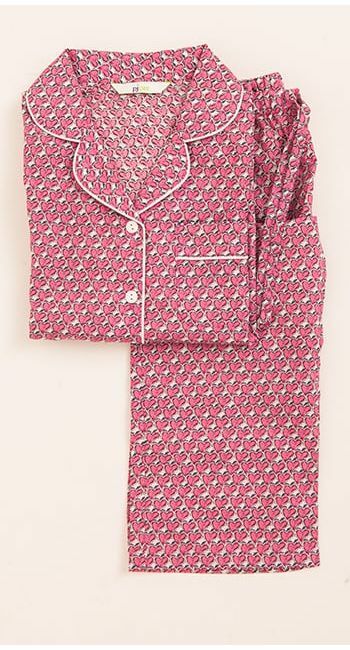 Also available in women's pyjamas if you're looking for a mother-daughter matching set.